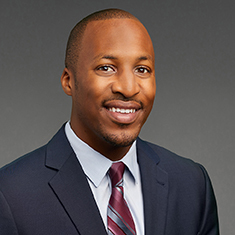 Mario Robertson is an associate in the Litigation practice. At Northwestern University Pritzker School of Law, Mario served as the managing articles editor of the Journal of Criminal Law and Criminology, vice president of Community Outreach for the Black Law Students Association and a member of the Student Bar Association's Admissions Committee. He also participated in the Criminal Defense Clinic, where he helped to represent clients in criminal cases. Additionally, Mario is a mentor with the Chicago Scholars program, where he assists high school seniors from Chicago Public Schools with the college application process and increasing the college retention rate for these students. Shown below is a selection of Mario’s engagements.